Your home and potential Home business await you at this Property, There is also the opportunity to rent out the basement for a little added income or have your extended family close by. Check out the video and then give us a call to book your own private showing of this amazing little gem. 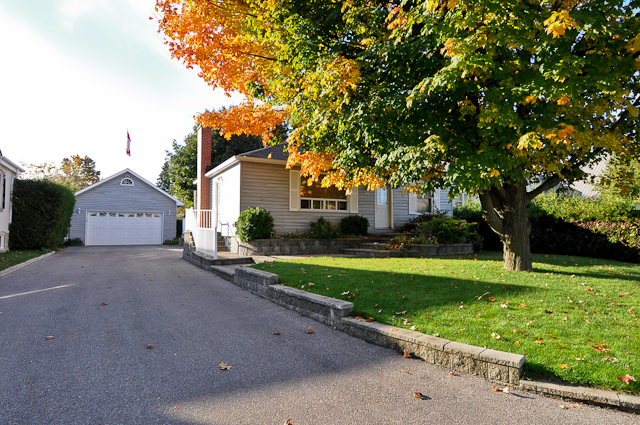 This is a very rare opportunity in North Oshawa near Simcoe St. and Taunton. Live, Work and generate potential rental income all at the same time. 93 Tecumseh Drive is Just that ! It starts with great curb appeal and continues on to throughout this 3 Bedroom Bungalow which has plenty of main floor space with a large eat in kitchen, Separate Living Room and Family Room and 3 generous bedrooms with a 4 piece bathroom. The Basement Has a Separate and Fully Operational Kitchen, Large 4 Piece Bathroom, Generous Bedroom, Separate Laundry Facilities and Separate Entrance. In addition there is currently a massive Recreational Room and Living Room that could be included into the “Apartment Area”. This space could be used as the in Law Suite, extra space for extended family or rented out for additional income. The Real Opportunity in this home is the fantastic Garage!! This Garage is heated and insulated and can fit 2.5 cars. Interior dimensions are 20 Feet Wide X 25 Feet Deep giving you 500 square feet, this does not include the unfinished loft space that could be converted to office space or additional storage space to keep the Garage area free from debris or clutter. there is also a large concrete parking Pad in front of the garage capable of handling 2 full size pick up trucks. The Benefit to the pad is your driveway will be spared from ruts and unusual wear and tear. The Driveway can also fit at least 8 + Cars again preventing you from having to park vehicles or trailers on the street throughout the year. Whether you services vehicles, do small engine repairs, work on snowmobile or ATV’s this is an amazing opportuntiy for you.